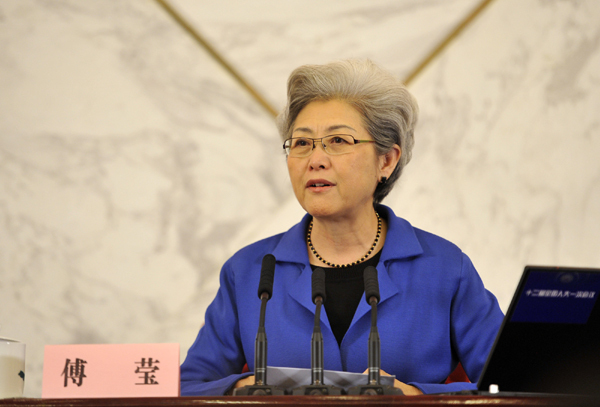 No sooner had Vice-Foreign Minister Fu Ying been named spokeswoman for the first session of the 12th National People's Congress on Monday, than netizens' comments began to flood in. Fu, the first spokeswoman in the history of China's top legislature, chaired a 75-minute NPC news conference, aired live on television. China's top micro-blogging site, Sina Weibo, was flooded with favorable reactions to the so-called iron lady of the Foreign Ministry. In 2010, Fu was promoted to vice-foreign minister, in charge of Asian, border and oceanic affairs, including China's territorial disputes with Japan. Netizens' comments ranged from her stylish silver hair to her radiant smile and clever replies to questions. "Fu Ying is a gentle, warm and charming lady," wrote Sina Weibo user Paul Hongfu. At 60, Fu Ying has clearly moved to a new stage in her life. "I've just come from the session. The route at the Great Hall of the People is zigzagging and it is not easy for me, as a newcomer, to find it. I'm sorry," she said while explaining a three-minute delay in the news conference. Fu answered nine questions during the news conference, ranging from tensions with Japan to the military budget. When replying to a question about "fully-covered budget management", a comprehensive framework to review and supervise the government's budget and spending at all levels, Fu was concerned whether reporters were familiar with the term and explained it to them. She also allowed an old friend from CNN to ask a question but jokingly told him to pose "a mild one". One of Fu's former colleagues told China Economic Weekly the way Fu expressed her feelings used to ensure complex diplomatic work achieved "maximum results with less effort". Asked about China's political reform on Monday, she said some developed countries are facing very severe difficulties, but they never talk about changing their political systems. "China has already found a road appropriate for the country and is making headway. Therefore, we have no reason not to go along this road," she said. She did not avoid talking about problems. Asked about China's environmental pollution, Fu said that every morning she draws the curtains to check whether there is haze. A Weibo user nicknamed Wang Tongbing said: "I like Fu Ying's remarks. Now Chinese people can face their problems. It shows growing confidence." Fu said after the news conference she had prepared hard for it. "I felt nervous ... like a pupil." But many netizens attributed her success on Monday to her 35-year diplomatic career. Fu joined the Foreign Ministry in 1978 and has been ambassador to the Philippines, Britain and Australia. Lionel Barber, editor of the Financial Times, interviewed Fu before she left London in 2010. 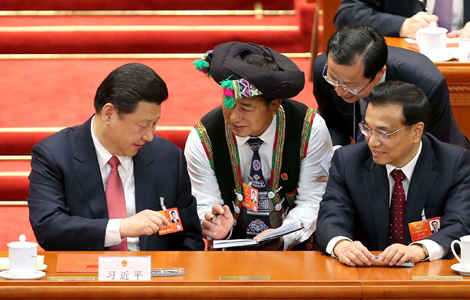 In Barber's eyes, Fu does not match the stern face of Chinese officialdom. "Madam Fu Ying is a rare specimen in the ranks of Chinese diplomacy," he said, adding that she is female, comes from an ethnic group - she was born in Inner Mongolia - and took up a new post in Beijing in 2010 as only the second female vice-foreign minister since the founding of the People's Republic in 1949. "Madam Fu is charming but she also knows that charm can serve as a weapon," Barber said in his report. 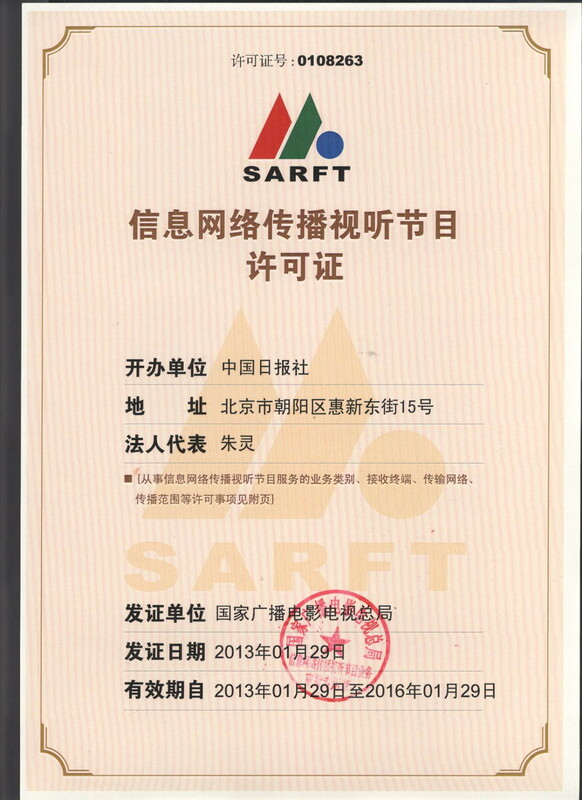 Zhang Chunyan contributed to this story.